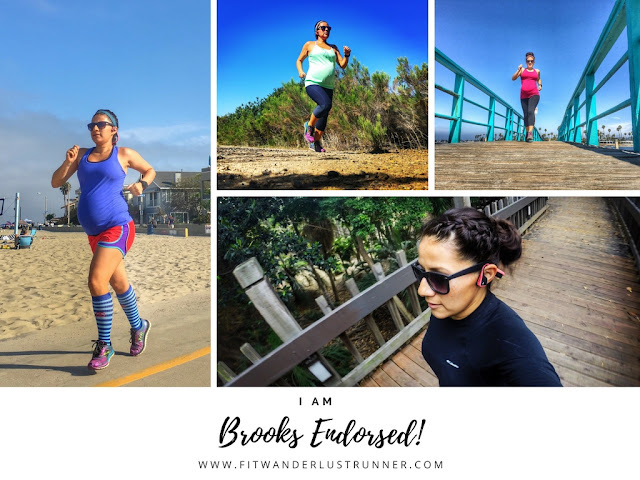 Fit Wanderlust Runner: Get Brooks Endorsed! Have you guys heard of the amazing campaign that Brooks started last month? They actually started it on June 7th, Global Running Day. It's literally the biggest endorsement deal in history! They are signing runners of all speeds and abilities to be a part of the Brooks family. I had heard of the campaign a few weeks back but I was a bit preoccupied with other things to actually sign up. So I kind of signed up a little late in the game. Talk about pregnancy brain right? So what do you get out of this endorsement deal? Well, you get exclusive access to training and nutritional services by some of Brooks finest coaches. You also get an official athlete card that you can share on social media so all your friends and family can see how special and important you are. And lastly you get your endorsement deal and you'll get a check for $1. Unfortunately the dollar deal is only applicable to Canadians and US residents. I really can't say enough great things about the website, Brooks Athlete Headquarters. It is a great home base for all things running. From learning to perfect your running form to improving strength with new exercises, this website will have you motivated to train for your next race. This deal is about showing us runners the royal treatment. Still not sure? Watch this video and get encouraged to join one the greatest endorsement deals out there. 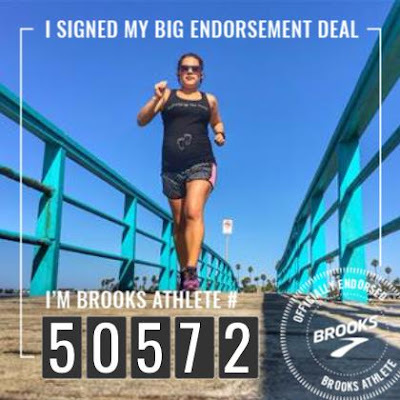 Knowing that Brooks is celebrating my passion for running and wants to endorse little 'ol me is pretty spectacular. By making me a part of their team, they're celebrating my dedication to the sport. Go me! So I guess the next big question is are you going to get #brooksendorsed ?? Wowww thats so cool! brooks have taken a great initiative, getting training and nutritional services by finest coaches is the best part about it! such an amazing website for all the runners out there.